Let's celebrate July 4th with a building that was standing long before we declared our independence from England. 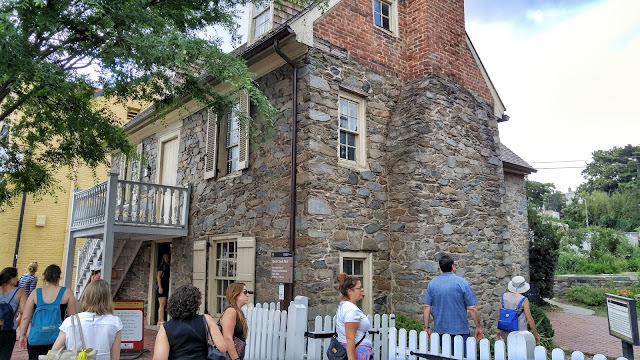 The oldest unchanged structure in Washington DC is this stone home located surprisingly in the middle of the Georgetown shopping district. It was built in 1765 and has been logically dubbed the Old Stone House. It was originally a one-story home built by the Layton family who only lived in the house for three years before selling it to Cassandra Chew who expanded the home to a second floor and a separate kitchen area. But how was it that this little house was spared the wrecking ball as every other building around it was replaced or updated? This was due to the stories surrounding the home that say that George Washington and Washington DC's original city planner Pierre L'Enfant held meetings at the house when they were planning the layout of the capital's city streets. After the National Park Service purchased the home in the 1950's, they attempted to verify the historic claims but could find no evidence that showed that those meetings ever took place in the house after all. 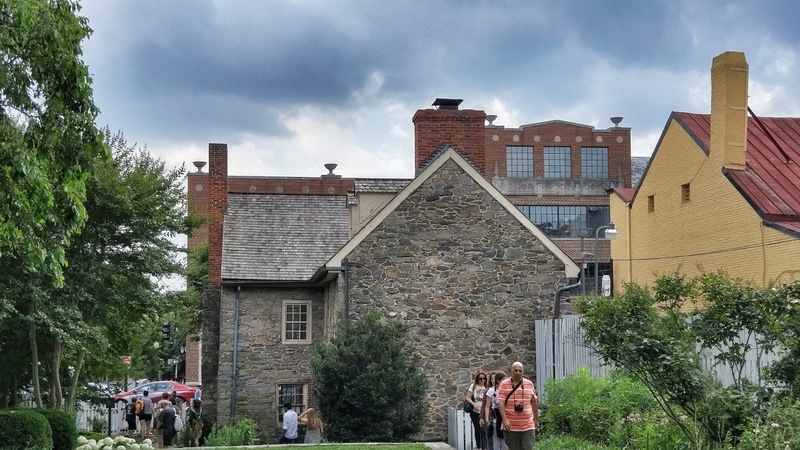 The house is now a part of the Rock Creek Park National Historic District so bring your National Parks passport to get it stamped! It's good they kept something original, even if it wasn't what they thought it was.